Forklift License in Florida: Taking the Retraining & Salary - Be Certified Today! 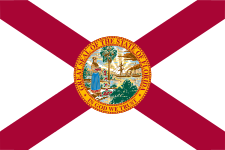 If you are a resident of Florida and intending to work as a forklift operator, your skill is in demand in this state. Many companies in the logistics, distribution, delivery, construction, and warehousing want qualified operators like you. To boost your chance of getting a high-paying job, you need to have a forklift license in Florida. To obtain such credential, you must take a training course. Completing the course is not a complicated process, it is fairly simple and easy. It only takes a little time and a small amount of money. You can complete the course in just a day with $100 as your investment. Upon successful completion of the course and examination, you will be issued with a certificate and a license card. These documents are your proof that you are qualified to work as a forklift operator. If you are an employer, having your workers take the training can save you from a lot of headaches. You are not putting yourself in great risk of having cited with a violation when OSHA inspector visits your workplace. There is no reason why you should not have a forklift license. To help you achieve your goal to have such as a credential, we made this guide for you. Browse through ‘til the end. How to Become Certified Operating a Forklift Truck? How Much is the Forklift License? How Long Does It Take to Complete the Forklift Training Course? How to Renew the Forklift License & When to Get Recertified? Will the Employer Train the Operators to Get Certified? How to Save Money Training the Forklift Operators? Why Do You need to Provide Forklift Operator Safety Training? What The Training Should Composed Of To Be OSHA Compliant? Comply with the training requirements - If you opted to take the course through a training school, the school set the requirements you need to attain before getting accepted as a student. You must be above 18 years old, must have a high school diploma, able to write and speak English, and physically fit are the minimum requirements. Find a training school where you want to take the course - the list school is below, for your reference. Here’s an article about how to choose a forklift training school, click here. If you are an employer, you have the option to conduct the training on-site, you can have this arranged by requesting that to the school. The school will send a trainer to your workplace. In this way, the trainer can tailor the course to match with the types of forklifts you have in your workplace and the behavior of the workers. Attend the class - as part of the certification, the course should compose of classroom training. There are several ways the class can be completed. It could be taken in-person or through online training. The in-person training is what we suggest. Take the written exam – though this is not required by OSHA, the trainer may administer it. It is composed of mixed questions in multiple choice, true or false and fill-in the blank. Take the practical training – this is the hands-on exercises. You will do tasks such as pre-shift inspection, starting of the machine, loading/unloading, transporting loads, picking laden pallet, driving on a slope, basic troubleshooting, identifying hazards, refueling/recharging, parking in designated place, and other topics. Get your performance evaluated – as one of the most important parts of the certification course, getting your skills assessed by the instructor can make or break your success. In the performance evaluation, the instructor will give you a series to tasks to do, you do exactly he says, complete the tasks and you will be assured of passing the course. Receive your certificate and license card – if the instructor is happy about your performance with the series of tasks you did with the forklift, he will recommend you. You will then receive your training certificate and/or operator license card. The training certificate is usually valid for three (3) years. This is the minimum interval an operator must take the retraining to keep knowledge refreshed. www.forklifttrainingshop.com Central Florida Safety Training, LLC. or if there’s a significant change in the workplace that could affect the safe operation of the forklift. The trainer must document the retraining process by having an attendance sheet, taking of pictures of retraining process, presentation of the specific program course, giving a new certificate of training and other ways necessary to prove that recertification has been done. The documentation is vital in case OSHA inspector requires for it. A certified forklift operator employed in Florida can receive an hourly wage of $16.00 that means an annual salary of $34,240 on average. How Much Does Forklift Operator Make? Read This! The demand for forklift operator never diminishes in this state and will continue to rise because of the introduction of new businesses. In Georgia, the closest state, operator wage is lower. How to Search for Job as a Forklift Operator with No Prior Experience? Is Driving Forklifts the Right Job For You? How to Turn Your Job Into a Lifetime Career? When to Shift to Another Job as Forklift Driver? What Do You Need to Know When Choosing Your Career? When to Shift to a New Job or Employer?